In memory of Dallas Willard, who died today at the age of 77, I am posting some of my favorite Dallas themed posts. For more on his death and his legacy, see my Storify here. 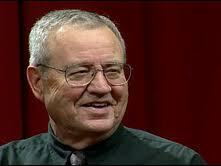 Dallas Willard is a hero of mine. His book, The Divine Conspiracy, opened up a completely new way of living out the Christian life for me. Before I discovered Willard I was searching for a deeper, more meaningful faith that I didn’t know was possible. Willard introduced me to what discipleship was really all about and showed me that Jesus and his teachings can radically reshape my life if I just give him the opportunity. With very little effort, I am able to memorize quotes from Willard and they have helped in many ways. Below, you will see some of my favorite Willard quotes that just came off the top of my head. If you are interested in reading more from Dallas Willard, I would suggest starting with Renovation of the Heart and then move to the Divine Conspiracy. There is also a good daily devotional with portions of Willard’s works in bite size form. This entry was posted in dallas willard and tagged Dallas Willard, Jesus, Renovation of the Heart, The Divine Conspiracy: Rediscovering Our Hidden Life In God by Scott Jeffries. Bookmark the permalink.